Cost: $25 Adults / $15 Concessions Tickets sold at the door. 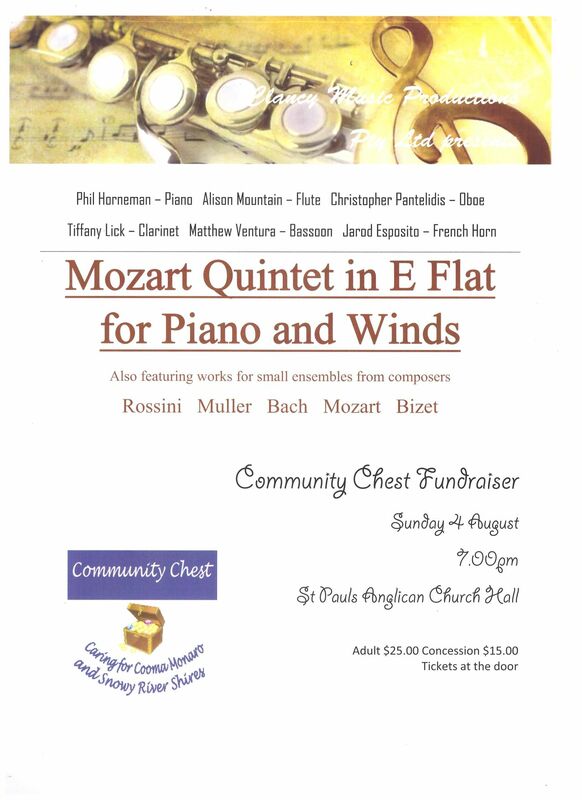 This entry was posted in Concerts & Events and tagged Clancy Music Productions, Community Chest on July 31, 2013 by allan. 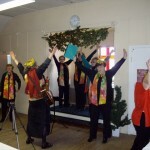 Cooma’s very own singing sensation, prescription Vendulka Wichta is appearing live at the Alpine Hotel this Saturday! music magazine Nouvellist in 1876.
still pushing the limits of what two classical guitars can accomplish together. 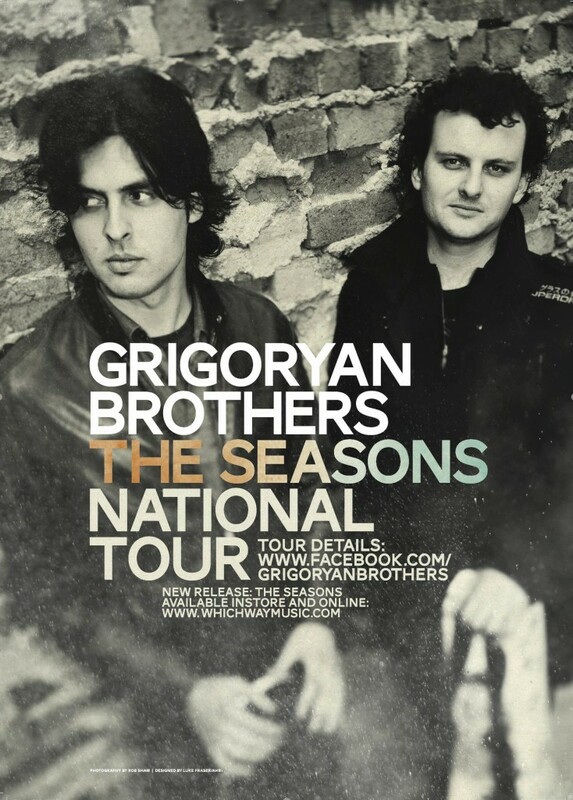 UK, Asia, Russia, South Africa and the United Arab Emirates, as well as many national tours. .”…guitar playing of uncommon originality and authority. 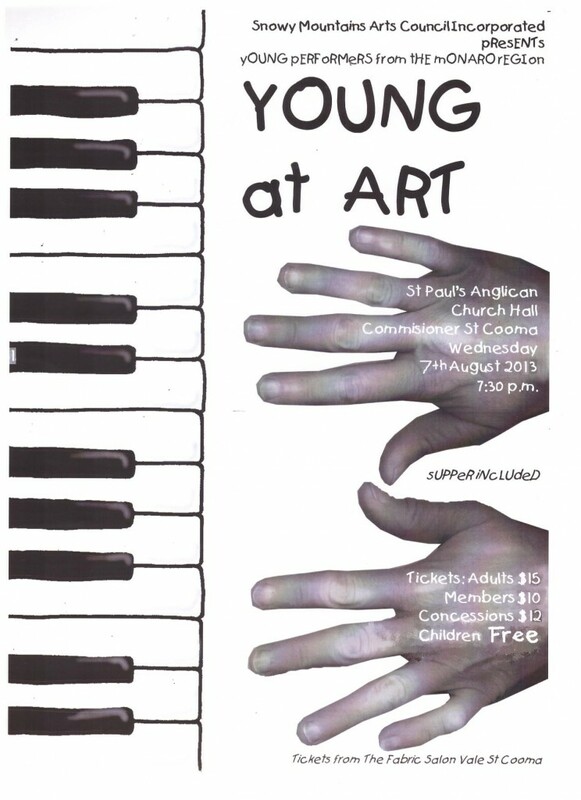 Snowy Monaro Arts Council will proudly present its annual ‘Young @ Art’ concert – an opportunity for young musicians to perform to a discerning audience – at the Anglican Parish Hall in Cooma. 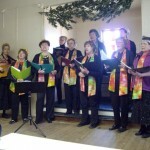 The Arts Council for decades has been responsible for attracting and hosting high quality musical performances to the district. But six years ago the organisation decided to publicly acknowledge the talents of local performers – in particular, very young and gifted musicians. Apart from chances to perform before family and friends, and at schools or in competitions and eisteddfods, many young performers rarely have the chance to play to an audience of strangers. And so, ‘Young @ Art’ was conceived. Wednesday’s performers will be predominantly teenagers, each considered accomplished in their chosen instrument. 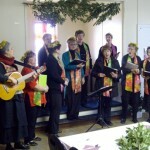 There will be pianists, guitarists, flautists and more, and solo as well as ensemble presentations. Anybody wanting to encourage our local young people and who loves good quality music is invited to attend the concert. Tickets are available at The Fabric Salon and at the door. This entry was posted in Concerts & Events, Snowy Monaro Arts Council and tagged snowy monaro arts council inc, Young At Art on July 30, 2013 by allan. he started his Bachelor of Music studies at the Australian National University (ANU) School of Music under the guidance of Timothy Kain AM. He completed his Bachelor of Music with first-class honours in 2006. He was awarded the Friends of the ANU School of Music Bernhard Neumann prize for most outstanding graduate. He completed his PhD at the ANU School of Music in 2010, and in 2012 went on to complete a “Cour de spécialisation” (as a guitar duo with Véronique van Duurling) at the Strasbourg conservatory with the Duo Melis. Harold has won numerous national and international competitions, including most recently first prize in the 7th international guitar competition of J.K Mertz (2010), first prize in the 2007 Vienna Guitar Forum – International Guitar Competition (Austria), first prize in the 2007 Cordoba Guitar Festival – International Guitar Competition (Spain), first prize in the 2008 Coria International Guitar Competition (Spain), first prize in the 2008 Transylvania International Guitar Competition (Romania), first prize in the 10th Sernancelhe International Guitar Competition (Portugal, 2008), and first prize in the International Competition of 20th Century Guitar Music Interpretation in Lagonegro (Italy, 2006). He was awarded second prize in the 51st Tokyo International Guitar Competition (Japan, 2008) and the Gisborne Music competition (New Zealand, 2005). He has also placed first in the open guitar sections of Australian national eisteddfods and competitions. he started his Bachelor of Music studies at the Australian National University (ANU) School of Music under the guidance of Timothy Kain AM. He completed his Bachelor of Music with first-class honours in 2006. He was awarded the Friends of the ANU School of Music Bernhard Neumann prize for most outstanding graduate. He completed his PhD at the ANU School of Music in 2010, purchase and in 2012 went on to complete a “Cour de spécialisation” (as a guitar duo with Véronique van Duurling) at the Strasbourg conservatory with the Duo Melis. 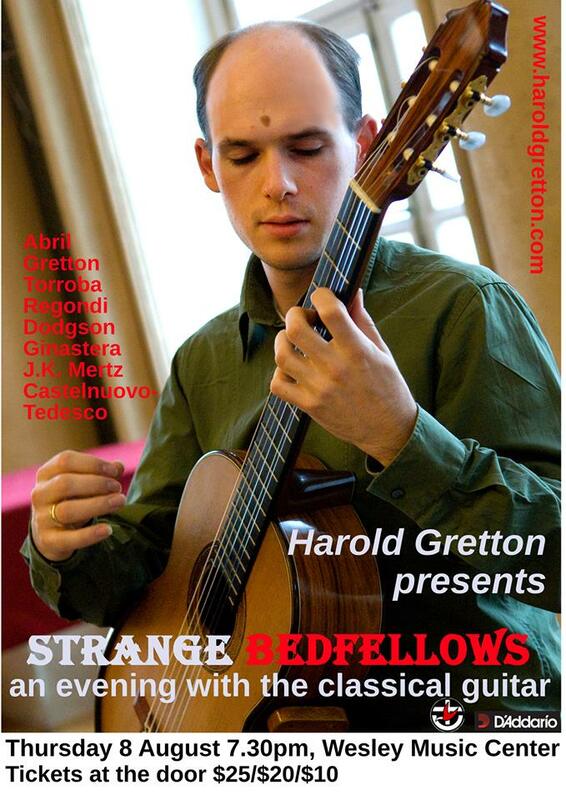 Harold Gretton began playing guitar at the age of 7. After formative studies with Carolyn Kidd, he started his Bachelor of Music studies at the Australian National University (ANU) School of Music under the guidance of Timothy Kain AM. He completed his Bachelor of Music with first-class honours in 2006. He was awarded the Friends of the ANU School of Music Bernhard Neumann prize for most outstanding graduate. He completed his PhD at the ANU School of Music in 2010, and in 2012 went on to complete a “Cour de spécialisation” (as a guitar duo with Véronique van Duurling) at the Strasbourg conservatory with the Duo Melis. 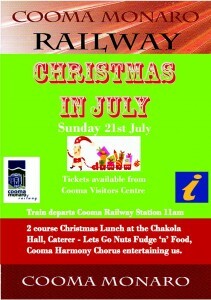 The Cooma Harmony Chorus entertained an enthusiastic audience at Chakola Hall as part of the Christmas in July celebrations presented by Cooma Monaro Railway. This entry was posted in Concerts & Events, Cooma Harmony Chorus and tagged Christmas in July, Cooma Harmony Chorus, Cooma Monaro Railway on July 22, 2013 by allan. 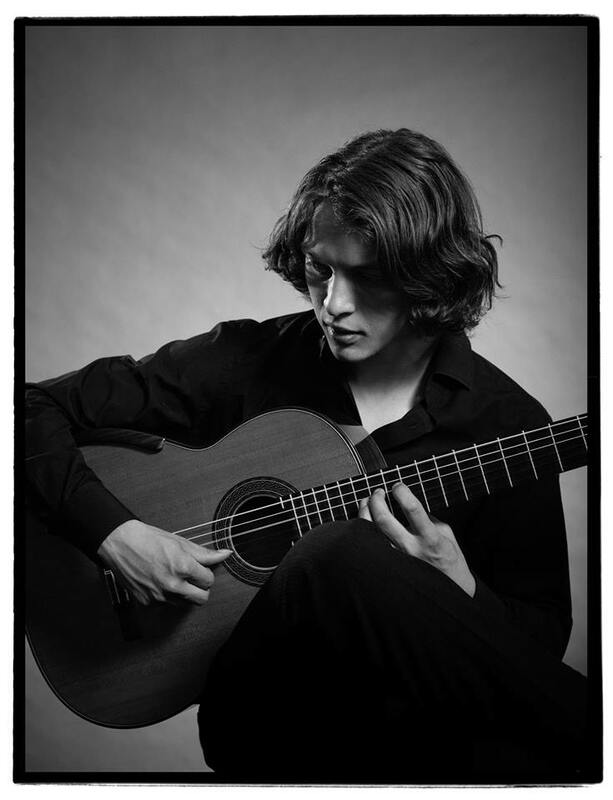 Andrey Lebedev, adiposity winner of the Adelaide International Guitar Competition, presents a kaleidoscopic program of classical guitar music from Spain, Latin America, Italy, and Germany, in his final Australian tour before relocating to London. Featuring Berio’s Sequenza XI and J.S. Bach’s monumental Violin Partita No.2 in D Minor in transcription for guitar, followed by Asencio’s Collectici Intim and Ginastera’s Sonata for Guitar. Adults $25, Concession $20, Students $10, Children under 12 free. 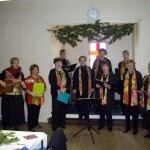 Friends of Wesley Music receive a $3 discount off the relevant rate. Tickets are available through http://www.trybooking.com/DDCH or at the door if not sold out prior. This entry was posted in Concerts & Events and tagged Canberra Classical Guitar Society, classical guitar concert, Harold Gretton, Wesley Music Centre on July 21, 2013 by allan. Andrey Lebedev, neuropathologist winner of the Adelaide International Guitar Competition, presents a kaleidoscopic program of classical guitar music from Spain, Latin America, Italy, and Germany, in his final Australian tour before relocating to London. Featuring Berio’s Sequenza XI and J.S. Bach’s monumental Violin Partita No.2 in D Minor in transcription for guitar, followed by Asencio’s Collectici Intim and Ginastera’s Sonata for Guitar. This entry was posted in Concerts & Events and tagged Andrey Lebedev, classical guitar concert, Wesley Music Centre on July 21, 2013 by allan. membership to Canberra Classical Guitar Society (winner to be decided by Adjudicator). This entry was posted in Competitions on July 18, 2013 by allan. 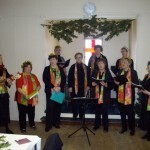 This entry was posted in Concerts & Events, Cooma Harmony Chorus and tagged Christmas in July, Comma Monaro Railway, Cooma Harmony Chorus on July 18, 2013 by allan.